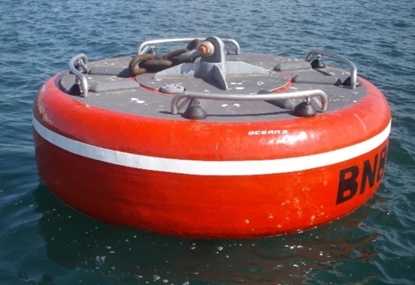 - Offshore Industry (Mooring Buoys, Offshore Buoys, Chain Support Buoys, Anchor Pendant, Navigation Buoys). 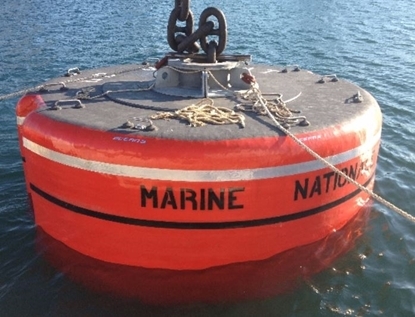 Made from a core of Polyethylene foam, OCEAN 3’s range of Buoys & Floats are able to absorb high impacts without incurring damage to their resilient body, or to the hull of the Vessel handling or hitting them. 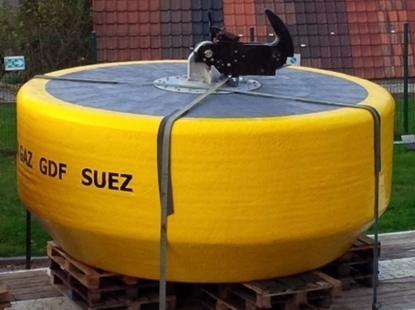 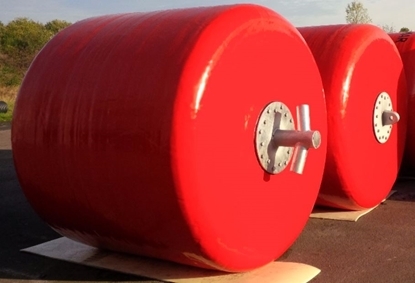 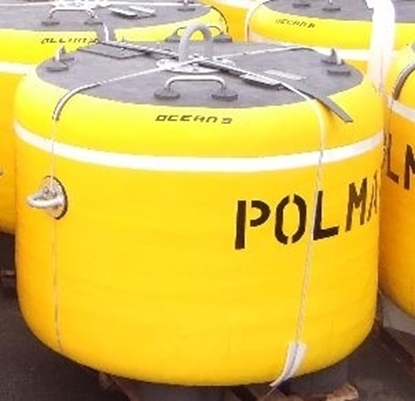 Our range of foam filled Buoys have numerous advantages over conventional steel Buoy construction. 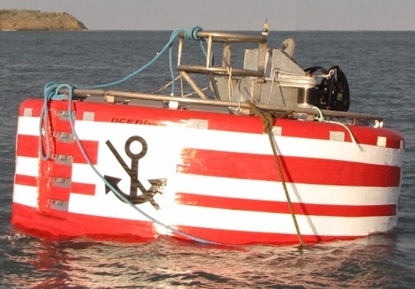 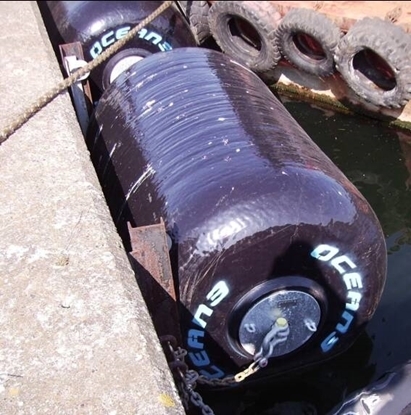 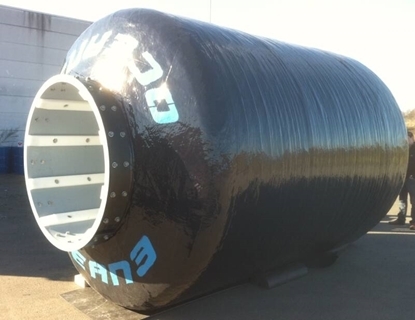 The manufacturing processes and raw materials used to build OCEAN 3’s Buoys & Floats are very similar to those applied to our Foam Filled Mobile Fenders : a resilient 100 % closed cell Polyethylene foam, including a steel frame, made to take the forces generated by the riser chain in view to protect the outer "soft" body, which is encapsulated in a tough reinforced Polyurethane coating.